First of all, you should know that most area rugs and carpets can be salvaged after a water damage situation. Replacement is only necessary for certain types of water damage. Absolute Carpet Care services homes in Fairfax, Arlington, Washington D.C., and all around Northern Virginia. We provide on-call services 24 hours a day, 7 days a week for water damage emergencies. We put a priority on water damage situations to prevent mold and mildew problems as well as structural damage to your home. Absolute Carpet Care is certified by the Institute of Inspection, Cleaning, Restoration Certification (I.I.C.R.C.) and follows the guidelines set to ensure each situation is dealt with appropriately. Our service professionals can identify the best cleaning methods and solutions for homeowners based on our extensive knowledge and expertise. 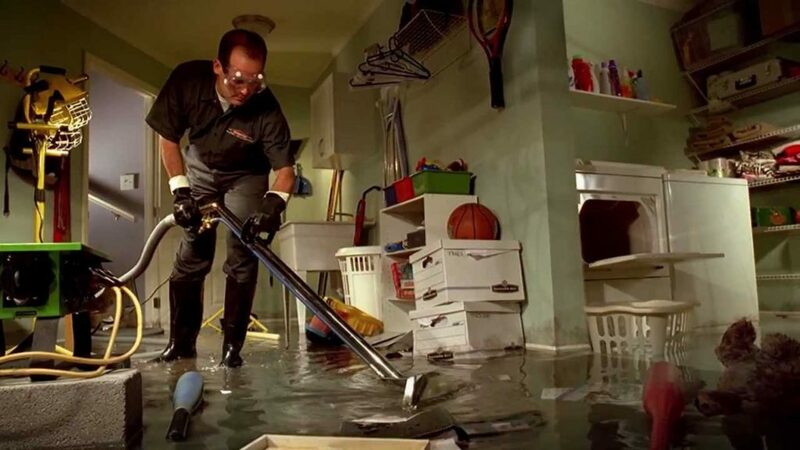 It is important to assess your water damage situation immediately. If your home has water damage due to flooding, plumbing or roofing leaks, overflow from sinks/bathtub, or even high humidity, mildew and mold will begin to develop within 24-48 hours of water exposure. The first thing you should always do in a water damage situation is to stop the source of water from coming in. Once the source of water is stopped we can begin to contain the damage. Secondly, extract the carpet and padding as thoroughly as possible and put it into our recovery tank in our truck mount. If necessary, we will remove padding and tack strip. Thirdly, treat all contaminated areas with an Antimicrobial. This topical treatment will prevent mold and mildew from growing and halt any growth that may have already started. We then leave commercial fans and dehumidifiers to dry the affected area. Equipment should always be left running for a minimum of 3 days to ensure proper drying. Sometimes the carpet may feel dry in less than 3 days but the baseboards and drywall may still be retaining some moisture. After this visit, our office will contact you the following business day to schedule an appointment to re-install new padding and re-install the carpet. We will also pick up the drying equipment and clean the affected areas that got wet during the water damage.